(06-28-2014, 03:23 AM)abra kadabra Wrote: If you have neither ursula nor dark golem and you don't have a cassandra to stuff down a double faugn team, it kind of limits the allies you can have. double faugn is great for grindy purposes, but without ursula, is lacking when consecutive bursts are needed. I have Ursula, Dark Golem and Cassandra, but I lack Novalis. How do I form the deck? probably ursula leader, dark golem team mate, and a novalis ally. Stuff dragons down the middle. then spend all your diamonds next dark week and pull yourself a novalis! Or, failing that, you'll have some dark trollisaurs to boost your team's stats. cassandra's just a novelty item that takes advantage of the will to live bonus (trojan) and pr faugn's healing leader skill, so you won't need it if pr faugn isn't a leader. OK I really need that card. Thanks for the input. (06-28-2014, 03:46 AM)Shoikan Wrote: OK I really need that card. Thanks for the input. For deck recommendations, yes, everybody got it right on the dollar with Ursula/Novalis. Cassandra works well in this team too because you regain life through lifesteal, so your REC is obsolete, which can be converted into attack. Where the fillers can be GSoA or AoA for water conversions since you won't need Hearts anyways, more Dark Golems or more Ursulas. This will give you a bicolor gameplay, which makes things easier especially for enchanted runestones. Thanks at first to DarchZero for this nice guide! Of course there are always additional possibilities how to form a team but I think you mentioned the most important ones by now. I hope one of the moderators can shift this to the guide section! That is my plan too. As I do not own Ursula I will have to find another way. Time will have to tell us whether Chernabog can replace her. Then nobody would have to cry if he does not have the luck to draw Ursula (even though the artwork of Chernabog is definately not my favor). Unfortunately so many teams base on a few key cards and if you do not own them you are unable to unleash a lot more potential and dragons I think are a really applicable example for this (like Santa, Diablo or Enchantress as well) if you compare this to some other teams like Norse, Greek, Crescendo, Sirius or other teams where you are very versatile. Greek and Norse can collect 1/2 times Zeus/Odin, then they need 1 god out of 5, add a few converter (much choice here). For Crescendo it is similar. Chose one leader with Crescendo (one is farmable) and add Odin (farmable) and a few Converters. For Sirius again the leaders are accessable too for every one that is able to clear a soulmaster. Dragons on the other hand are really restricted, what makes it really hard to form a competitive deck as a F2P player that does not have access to all the essential cards. Hence I like Madhead tries to give more players the chance to play a dragon team --> Nidhogg, Maleficient Dragon, Chernabog from SM stages of the last few months (and future in case of Chernabog). Anyway I would wish for more different teams in this meta as it seems like it is very very difficult to build a team without Novalis. Perhaps Madhead will grant us with some alternation. At the moment I only see a way here for the mono water team. Regards, and sorry about the lousy english. 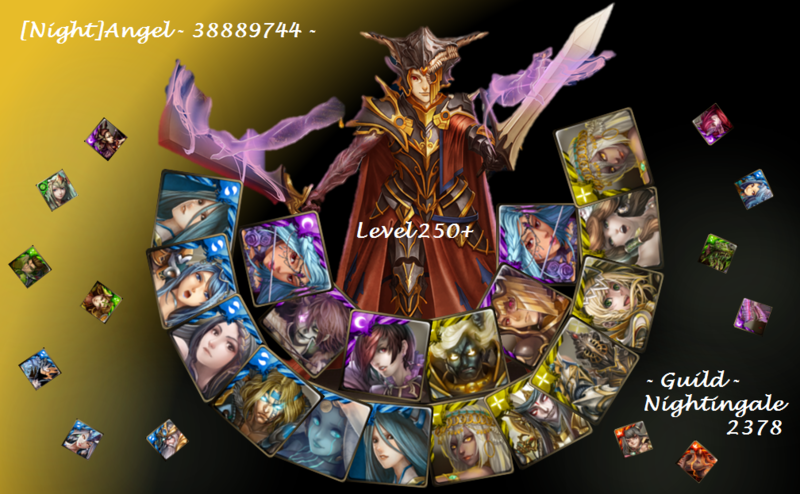 Now updated with Leader Skills summary, added Cassandra to possible additions to a water leech deck (credits to Balaur) and currently researching about Cassandra vs. Prestige of Dragons. Thank you for the mods who are kind enough to move this to the Best Guides/Walkthrough, am very honored! Out of curiosity, which is better against overheal monsters? One thing to add is that novalis is not really the best leader for conventional dragons, and is outclassed by nidhogg & light ds. If you want to be more complete i remember someone playing dual agatha to clear transmigration with an additional medea. How good is team 6? never tried it before but is the minor attack boost worth it compared to dual ursula/dual pr faugn? (06-29-2014, 04:29 PM)qlwkejrh Wrote: Cool guide! 1. Unless the enemy hits for 90% of your health per turn, overhealing with PR RGB ED only requires you 2 sets of 3 heart runes. However, for efficient overhealing, you must be injured, the bloodier the better. PR RGB ED healing is based on percentage, therefore the more injured you are, the more you are healed. Nidhogg's bites helps you achieve that goal, indirectly. 2. Nidhogg's amplified HP means you will heal by a percentage of your missing HP, which in this case, a big chunk. Two sets of heart runes can deal up to 14k of overhealing damage, something dual Faugn/Tulzscha can't normally achieve. This, however, will be a long grind. But if you are trying to win against overheal monsters with dragons...it might not be your best choice after all. Thank you for your opinion! It is to my believe that Dragons are well known for their survivability, therefore playing Dual Agatha is a very risky proposition due to the fact that Dragons have a significantly low recovery. I am quite biased to decks that are "safe", where safe means you don't get knee-deep in poop just moments after a condition where you're perfectly fine. 3. How (in the seven levels of inferno) is Light DS, who supports the same risky mechanism of 6-runes-dissolve but somehow without an internal 50% damage bonus, better than Novalis? Number 3 is more of a question than a fact, it seems. Team 6 focuses on their versatility, which looks pretty much like a Swiss Army Knife to you, call it jack-of-all-trades. It sports multiple offensive and defensive options, where I believe can be found in the front page, but I will save you the time and type it here anyways. If you are comparing this to Dual Faugn, you will notice that Dual Faugn will have superiority in damage and burst. However, Dual Faugn has no shield. Dual Ursula (not a really good idea btw) will have superiority in constant bursts and leech. However, it will not heal when attacking high defense enemies. In summary, this jack-of-all-trade deck might not be the strongest in one niche, but certainly this delivers flexibility for most summoners. Just wanted to add an observation, my current team is PR Faugn, PR Dagon, Water DS, Water DS, Dark DS, PR Faugn. My second Ursula does not get the bonus attack from PR Dagon, and the ally PR Faugn does not get a bonus from my Dark DS.